Dining allergy-friendly in NYC and beyond. I have news that I’m privileged to share; I’ve written a book. As Worry-Free Dinners members know, I use teachable skills that make our food allergic lives a little safer, a little easier and a lot more fun. Now, you can have all of my best tools at your fingertips! 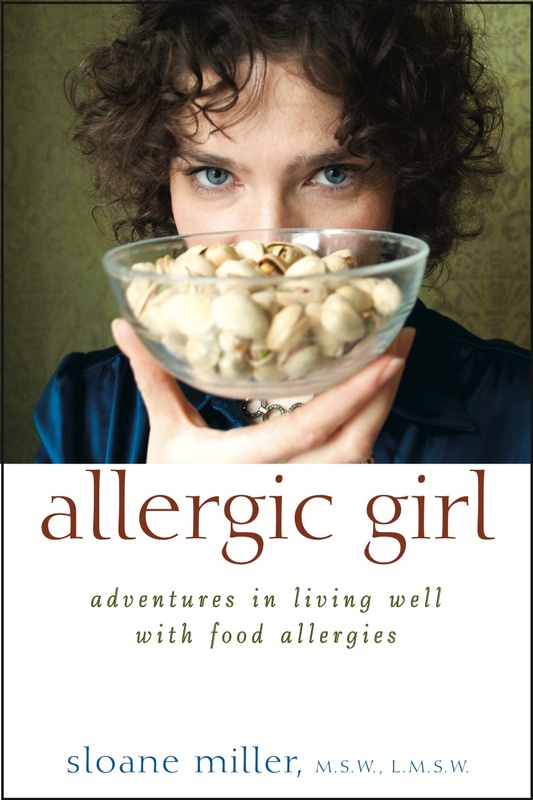 Allergic Girl’s a book for food allergic adults (newly diagnosed or old hands like me); the family and friends who love us; and parents who are guiding their children to be responsible and joyful food allergic adults. Until then, I’ll be blogging some updates on here on this blog site and on Allergic Girl, maybe some contests and definitely some stories about writing a book. Stay tuned for more information about the book and upcoming Worry-Free Dinners events! JULY 14, 2010: I’m going to be in NJ to join Cheri and her fabulous pre-walk the FAAN cocktail fundraiser on the Jersey Shore. If you're a NJ reader or WFD member, come, join me for a great cause. More info below direct from Cheri. Join us for our 1st cocktail & networking party to help raise funds for the FAAN Walk for Food Allergy. When: Wednesday, July 14th, 2010, 7-9 p.m.
Tickets are $60 each and include Hors d'œuvre & wine. Cash bar is also available. More info about July 14th fundraiser on ALLERGIC GIRL. If you are a Worry-Free Dinners member out of New York City, we can help you plan your trip here (email us at worryfreedinners@gmail.com for more information) like this Florida Worry-Free Dinners member. Dani contacted us a few weeks ago to help plan her family's dining out experience. After a phone consult with Allergic Girl, she felt more secure about visiting several of the WFD restaurant partners and Allergic Girl Recommended spots and had a great time. Here is Dani's report (reprinted with permission) - Thanks Dani! As many of you know, planning a trip with two food allergic kids (peanuts, nuts, gluten/wheat,avocado) can be a very trying experience filled with much anxiety and trepidation prior to even boarding the airplane. However, after hours of planning, researching, speaking to chefs, using opentable.com and having a nice chat with Sloane Miller (allergicgirl.com) I am happy to say that we did everything in NYC that we wanted to do and more. We dropped off our bags and went straight to Blue Smoke since I wanted to get there prior to the Saturday night rush hour. They were great. I had called them and made a reservation with opentable.com so they were ready for us. Believe me, I drill the waiters each and every time they bring food to the table even though there was a gluten and nut free menu. The waiters were WONDERFUL and didn't mind me triple checking everything. The food was DELICIOUS - yummy ribs, mashed potatoes, baked beans,salad. YUM YUM YUM. I tried to leave a tip for the Blue Smoke Chef but instead he came out and spoke to us and gave us a tour of the kitchen. What a treat!!!!! He has 2 allergic nieces so he knows the safety drill. My kids mouth opened as they watched the hundreds of chicken roasting in the rotisserie. It was really cool for them. From the second we walked in to the time we left we were treated really well and had a blast. We had equal success at Bistango which we ate at four times. They have a great staff and are very allergy aware. They have the great crunchy bread by everybodyeats.com which is nut and gluten free and they toast it up and it is soooooo delicious. (Coincidentally, I had everybodyeats.com deliver an order of cookies, pizza, cake and bread to us upon our arrival - DELICIOUS!!!) My kids felt really safe here and we were able to eat outdoors. They have a wonderful menu and almost everything can be made gluten and nut free. I even heard a waitress ask another table if there was anyone with food allergies. Ya! Way to go!!!!! Again, success at Porter House New York. This is a wonderful upscale steakhouse that we ate at prior to seeing Wicked. They were very accommodating to us. My kids declared it was the most delicious steak, carrots, beet salad, mashed potatoes that they had ever eaten. Again, super food... very accommodating and a great view. We did have a few places that we were not comfortable in - after spending hours at American Girl and of course spending too much money we went to our scheduled reservation for lunch. It is funny, this was the place that I was least worried about but once we walked in I knew it was an absolute NO. 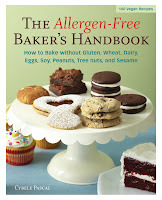 I had spoken to American Girl top times and I read blogs that they are very allergy aware and have a nut free kitchen. However, the place was filled with crumbs, our table and chairs had food on it and the waitress twice tried to serve us wheat cinnamon buns. I could see my wheat/gluten allergic daughters face and we all looked at each other and promptly got up and left. We took a taxi to SMAC and again knew as soon as I saw the kitchen and spoke to the waitress at the counter this was not the place for us. Funny though, my kids knew too. They may be young but they know already how to discern what is safe. We jumped in another taxi and ended up at Bistango again. Safe and delicious again. It was worth a few taxi rides and a banana snack from a street vendor. Was it easy in New York with two allergic children? NO. So in the end, we had a great vacation. I know I will always have anxiety going out of my little safe box in Florida but we know we must venture out. We have had safe vacations in Aspen, Bahamas, Bar Harbor, Maine and other States so it is possible. We are planning a few other short trips this summer including Disney World. The kids are excited and in the end they need to have a normal as possible childhood. One day, all the responsibility will be on their shoulders but until then I will teach them slowly but thoroughly how to navigate through the world with life threatening allergies. And I hope everyday, by the time they reach College, that the worry will somehow be lessened by one of the many treatments that scientists are working on now. Thanks Sloane for giving me that time on the phone. It really helped to know that I was on the right track. I know that there is never a 100% guarantee but you can get pretty close if you try. During these last months of 2009, Worry-Free Dinners is taking some BIG and BOLD steps to improve the WFD experience. Our next events will be in 2010. In the meantime, check out Allergic Girl's Recommendations for restaurants in New York City and keep those applications coming. I’m looking for some stories of families who support your dietary restrictions. Whether parents, sibs, grands, in-laws, please share! With Thanksgiving soon approaching, we could all use some great supportive family stories. Please share in the comments section! Back in January, I asked a few WFD parents what dairy-free, gluten-free butter substitute they use for cooking and baking. Earth Balance came up again and again as the spread of GF/DF WFD members use and adore. From the Earth Balance website: Earth Balance is the all-natural division of Smart Balance, Inc. While most of their products contain the same patented blend of oils shown to improve the important cholesterol ratio that Smart Balance® uses, they’re also made with only natural, expeller-pressed oils. They also never contain GMO’s, artificial preservatives, flavors, colors or emulsifiers. Not only that, all of the products are vegan and gluten-free. So taking our cue from you, our loyal WFD members, Earth Balance became a WFD staple, usually for icing with Cherrybrook Kitchen icing mix. Specifically we utilize the SOY-BASED Vegan Buttery Sticks when appropriate. The Vegan Buttery Sticks ingredients: Non-GMO INGREDIENTS: Expeller-pressed natural oil blend (soybean, palm fruit, canola and olive oils), filtered water, pure salt, natural flavor, (derived from corn, no MSG, no alcohol, no gluten), soy protein, soy lecithin, lactic acid (non-dairy, derived from sugar beets), colored with beta-carotene from natural sources. Contains soy. 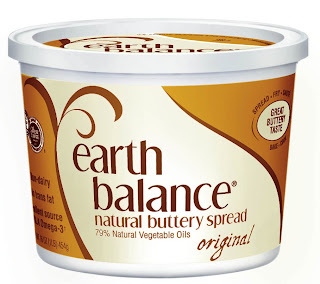 Earth Balance supports the Worry-Free Dinners program with delicious GF/DF Earth Balance products. Thank you Earth Balance team! © 2008 Allergic Girl Resources, Inc., © 2009 Allergic Girl Resources, Inc.. © 2010 Allergic Girl Resources, Inc., © 2011 Allergic Girl Resources, Inc., © 2012 Allergic Girl Resources, Inc.. Worry-Free Dinners® and Allergic Girl® are trademarks of Allergic Girl Resources, Inc. All rights reserved. What is Worry-Free Dinners® ? Worry-Free Dinners® is a membership group for anyone who has manageable food allergies and/or food intolerances and would like to explore restaurants, chefs and foodservice organizations that will offer an exclusive allergy-friendly meal. Email us at worryfreedinners@gmail.com for an application TODAY! Questions about Worry-Free Dinners®? Visit our FAQ for more info. Thanks for your interest! Membership includes exclusive invitations to Worry-Free Dinners® and the first opportunity to sign up for these fast-selling events and much more. Please send an email to worryfreedinners@gmail.com and you'll receive an application. Please note: You must be a member to attend our events. While Worry-Free Dinners® makes all reasonable efforts to ensure that the restaurants and other vendors with whom it works strictly adhere to the dietary restrictions requested for the Dinners, we are not in the kitchen and make no representations as to the ultimate products and services of such third parties. Members should always consult with their own physicians with respect to their particular allergies and sensitivities, and Worry-Free Dinners® and Allergic Girl Resources, Inc do not render medical advice. Thank you for your cooperation!